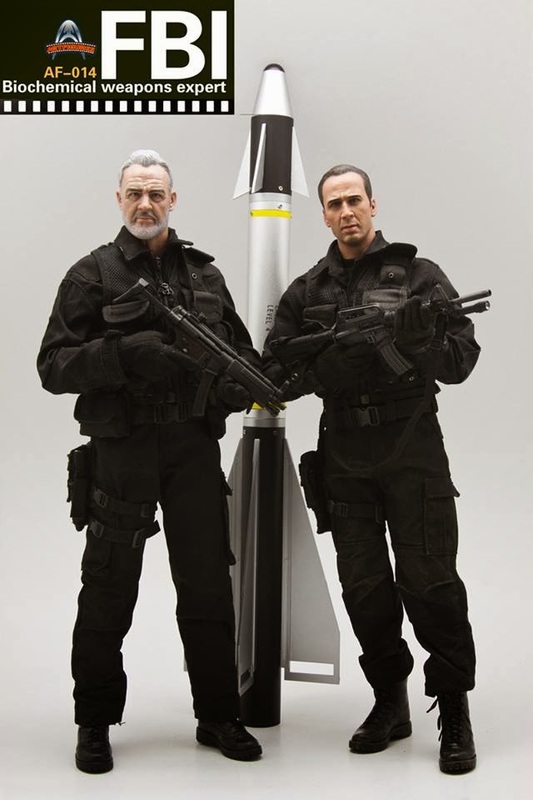 The Rock is a 1996 action film that primarily takes place on Alcatraz Island and in the San Francisco Bay Area. 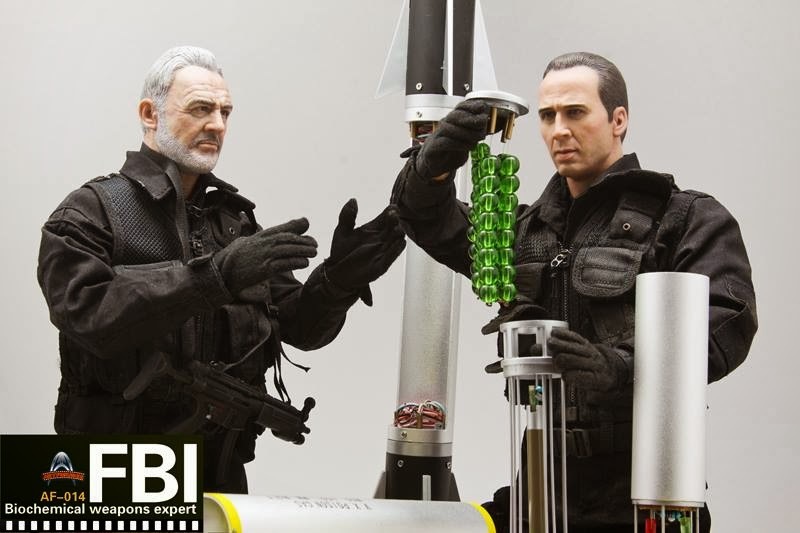 It was directed by Michael Bay, director of Bad Boys, and stars Sean Connery, Nicolas Cage and Ed Harris. 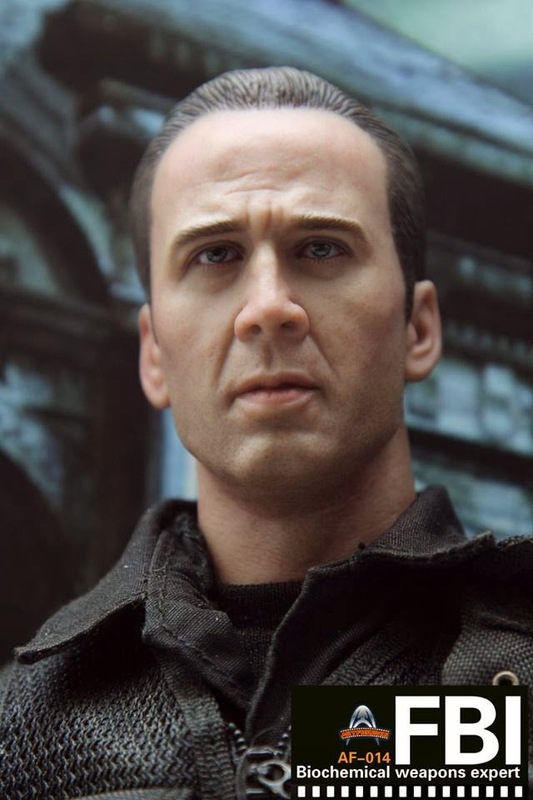 Nicolas Cage plays Dr. Stanley Goodspeed, FBI Special Agent. 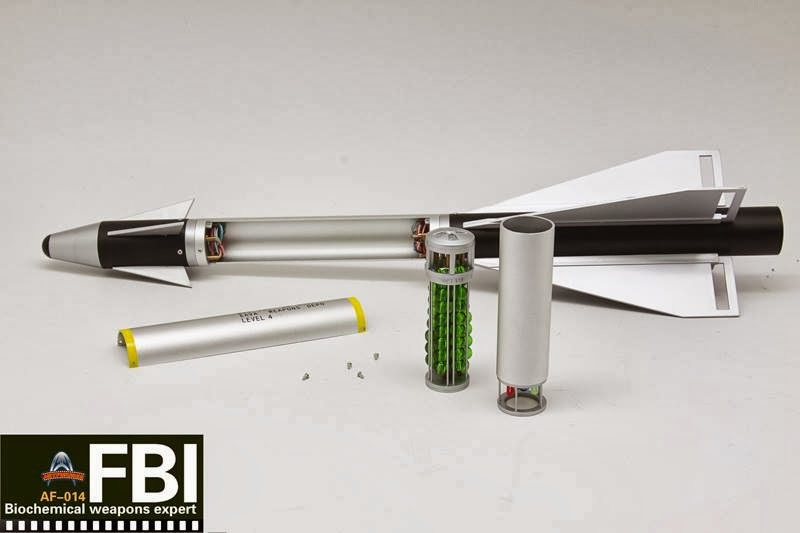 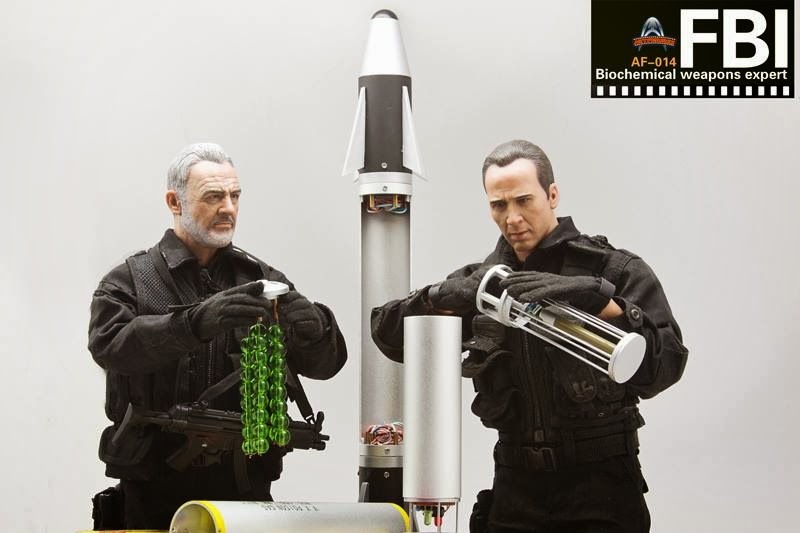 Goodspeed's job is to diffuse the stolen VX gas-armed rockets as fast as possible before the rogue US Force Recon Marines can launch them against the population of San Francisco. 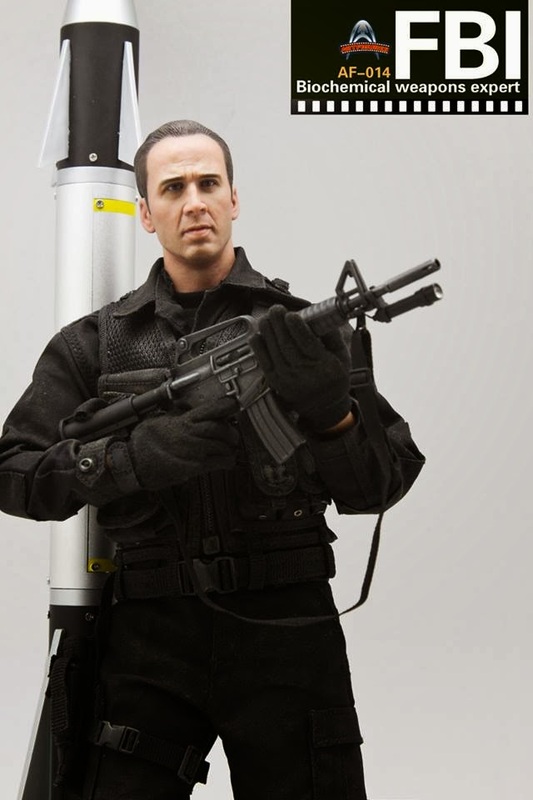 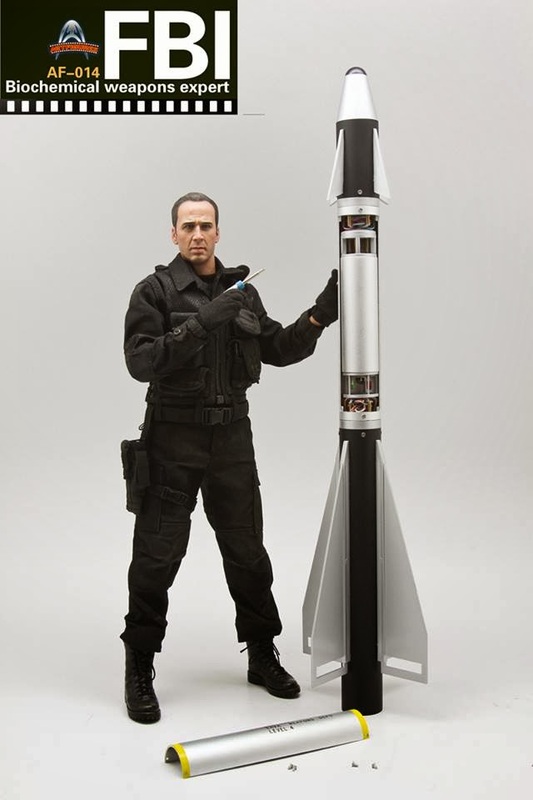 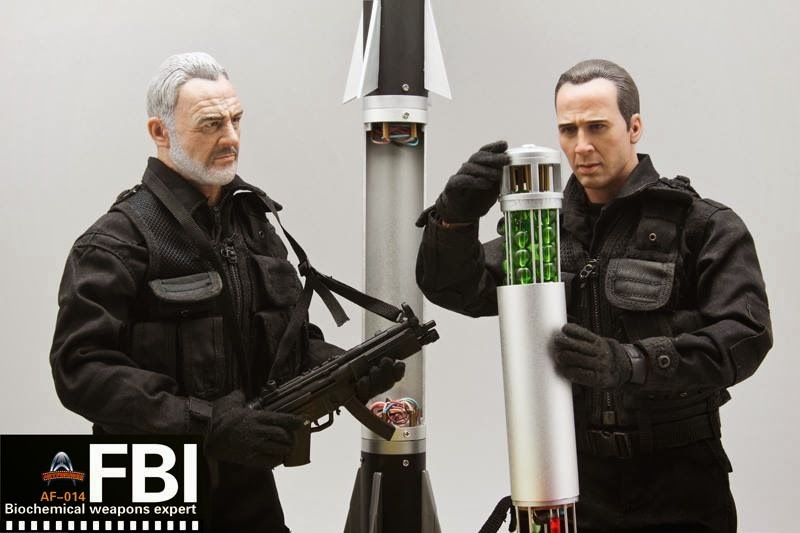 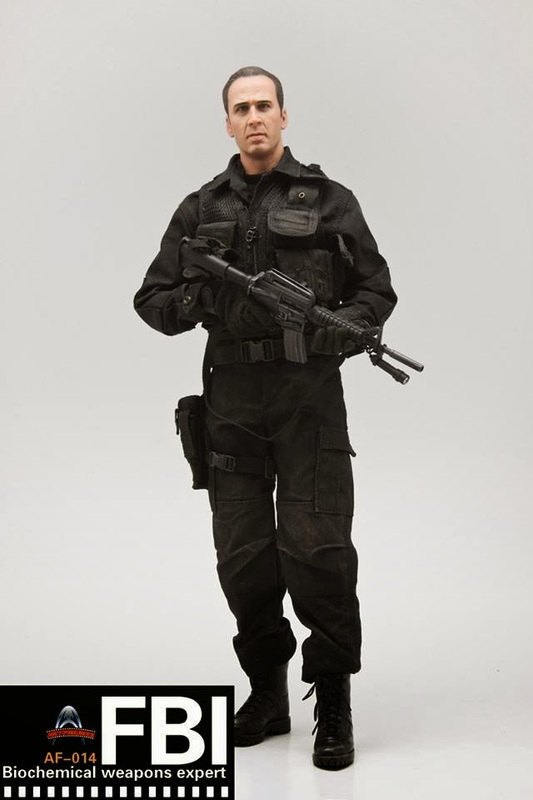 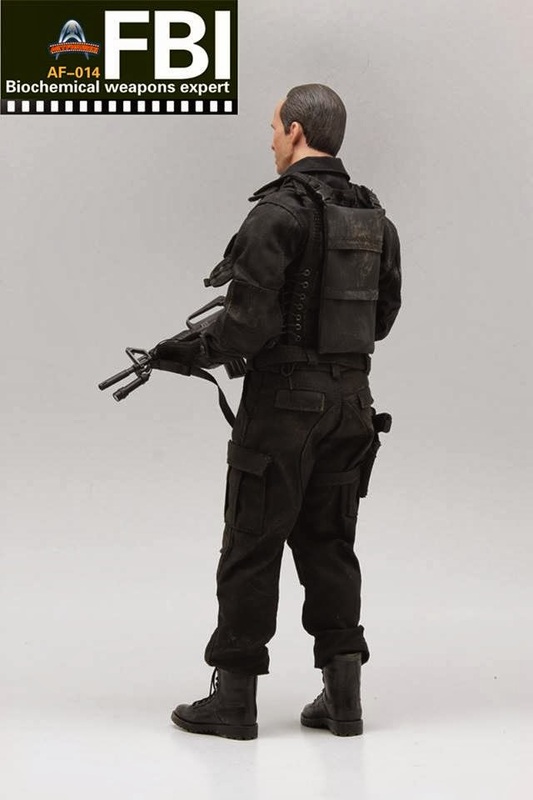 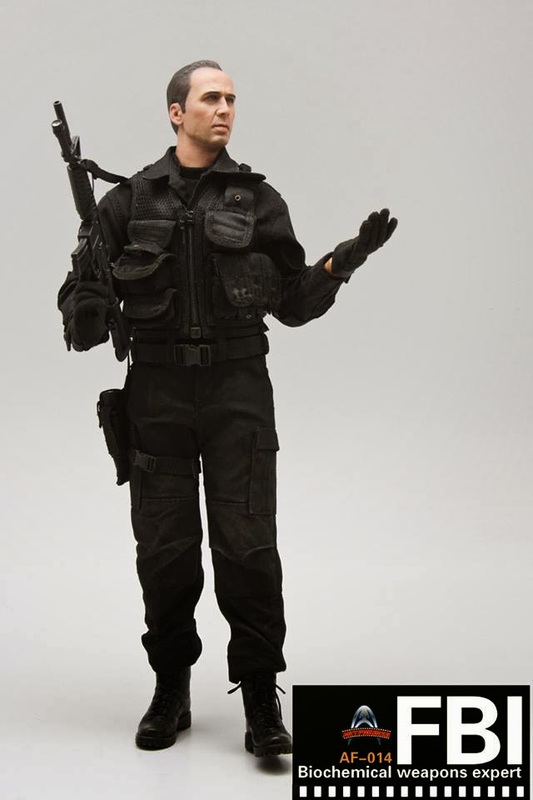 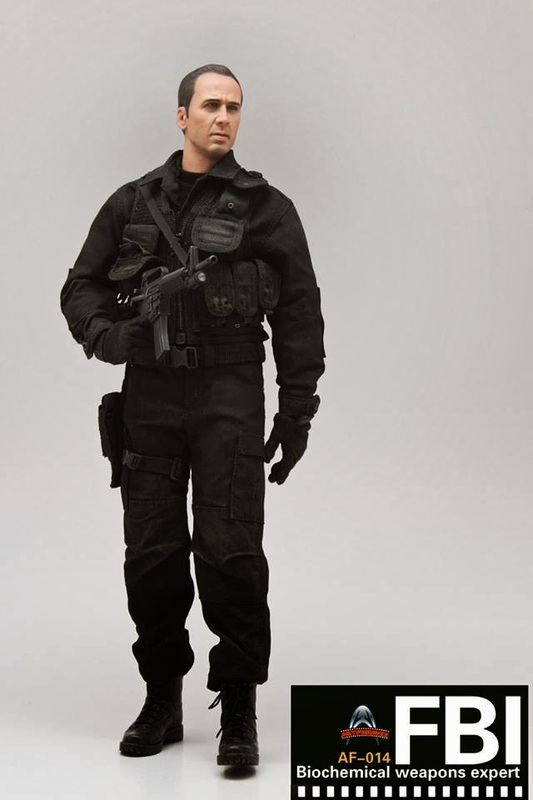 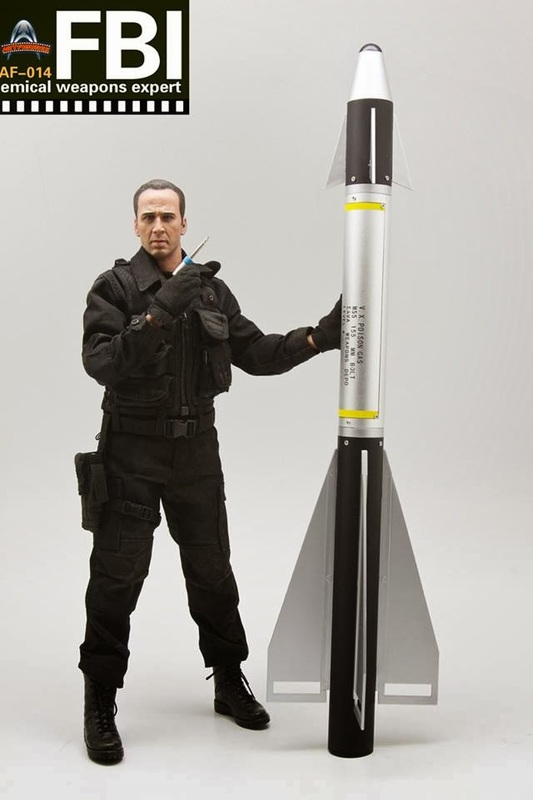 This will be the latest release from Art Figure: AF-014 which is a 1/6 scale FBI Biochemical Weapons Expert 12-inch figure with authentic likeness of Nicolas Cage head sculpt, 12-inch figure body, Black T shirt, Combat Uniform, OMEGA EOD Vest, White Underpants, Backpack, OMEGA Pistol Holster, Tactical Gloves, XM177 rifle with Magazine x 6, Tactical Weapon light, M9 pistol with surefire tactical light, Magazine x 2, screwdriver, Combat boots, Biochemical weapon. 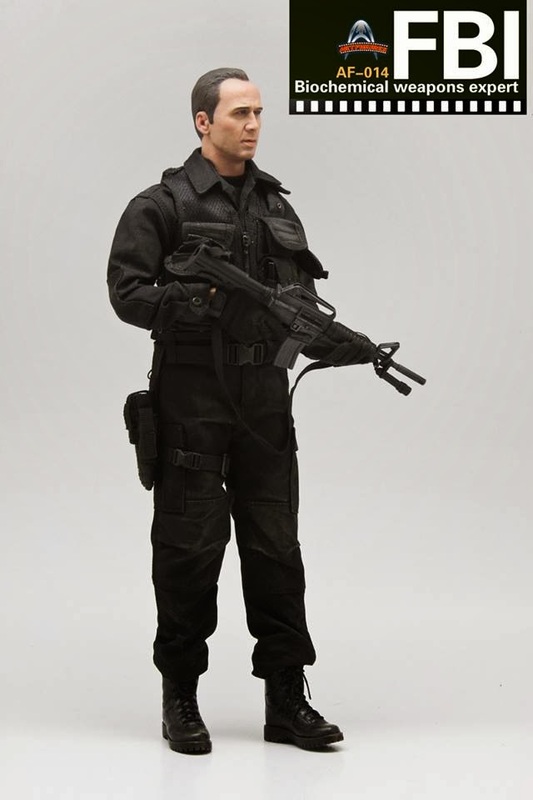 For a film that came out in 1996, they certainly took their time in releasing this. 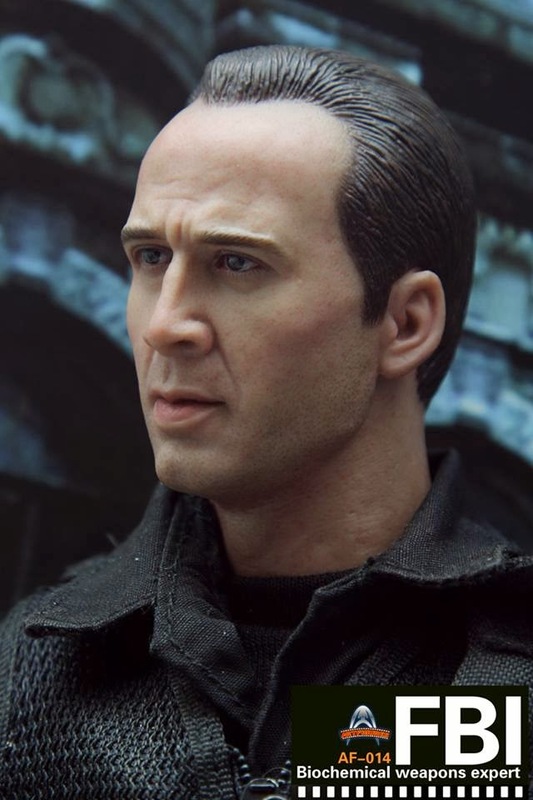 Close-up pictures of the Art Figure 1/6 scale Nicolas Cage as Doctor Stanley Goodspeed head sculpt.